With the growing number of comic books, it seems so obvious how to draw a superhero story and how to make it work. However, it appears that it is not enough to have a few superhero ideas to be able to translate them into a coherent story. 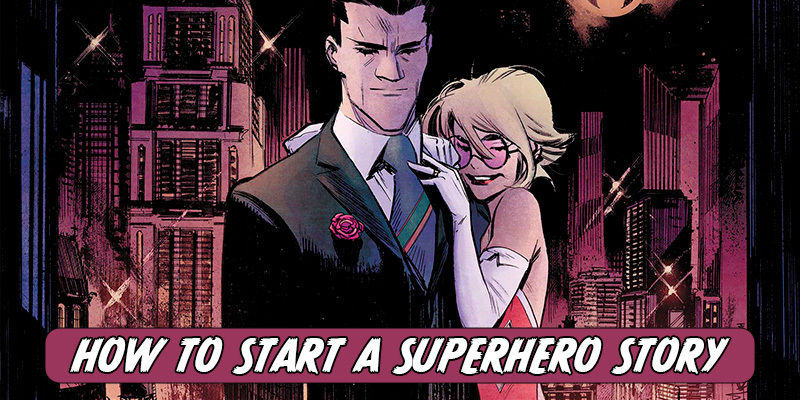 You should be very thorough looking for the best recommendations to help you become a superhero story writer. 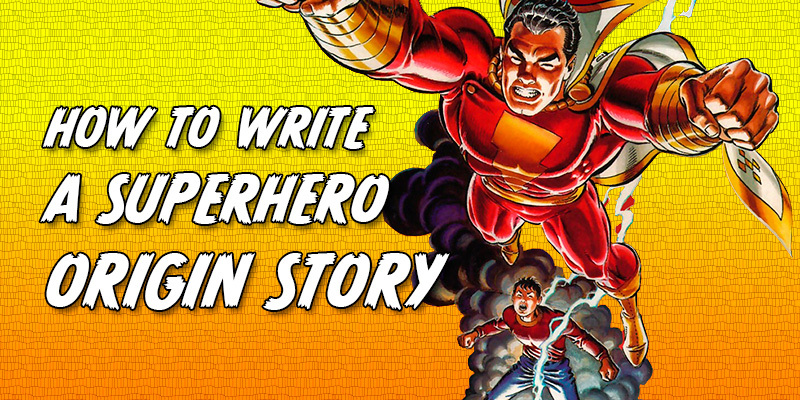 We are here to share some useful tips on how to write a great superhero story. In fact, we have compiled a list of seven useful tips. Feel free to use any. How to write a comic book? That's pretty simple. At first, you will have to forget about the hero's journey. The thing about comic book writing is that just too many books rely on this concept. It essentially means that you will have to borrow some subjects or topics from mythology and translate them into a contemporary story. For example, you will describe the heroic path of your protagonist, from being a simple and ordinary boy to becoming a recognized superhero. Of course, it can be interesting. It can even be revealing. However, do you really want to use something that dozens of other superhero writers and authors did before you? Storytelling should be unique and always knew. That's the secret of your success. Of course, you may still use the superhero's story at the beginning of your novel, just as the framework for understanding the actions and decisions of your hero. At the same time, you don't need to turn your entire story into a novel about transformation. For example, you may tell your readers what troubles or issues motivated your protagonist to take a hero's path, and how the events of the past influenced his decisions as he was moving toward his goals. That's quite enough to create a perfect story. Most superhero books should be written this way; unfortunately, few writers actually follow our advice. Now it is time to face the truth: superhero stories are vicarious, entertaining and comic. This is what most readers expect from them. Superhero books are being read by people who want to escape the reality and enjoy some time, being surrounded by imaginary heroes and participating in heroic, albeit imaginary, events. 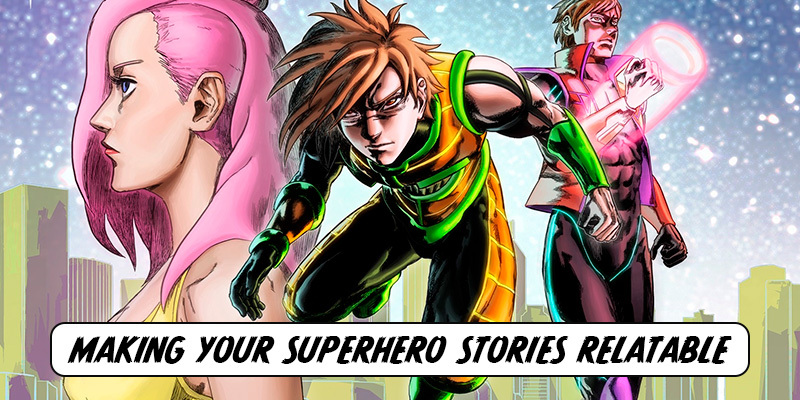 For an ordinary reader, a superhero story is an opportunity to imagine how he might do something that he might normally not be able to accomplish. For example, you want to read a superhero story and imagine that you can fly. You put yourself into a superhero's shoes and see how it works with you. However, it is never enough to describe the act of flying. It should be realistic. Ideally, it should also be comic. Besides, it should somehow be tied to the realities in which the reader lives. For example, when the first superhero stories saw the world before WWII, their protagonists were fighting against mafia and gangsters. They were interesting because they were realistic. They were touching because they reflected the issues and concerns facing people in America of the 1930s. Your book is not an exception to this rule. How to write a comic book? Try to include some element of humor and, at the same time, describe the events in your book in a realistic manner. Think of what concerns your readers. Think of what they would be willing to do in your story. Your reader should be satisfied with what he or she is doing in this story. At the same time, you should expand the boundaries of your readers' imagination and offer something unbelievably interesting to them. For instance, if your readers want to fly, try to use some unusual elements in the story that will make the act of flying really thrilling and comic at the same time. If you are trying to figure out what distinguishes a good superhero story from a bad one, we can tell you the truth. It is the feature (or features) that resemble readers of their own selves. For example, if you are writing a superhero story for teenagers, present your protagonist as a teenager who is facing dilemmas that most teenage readers are facing as well. You can talk about bullying. You can talk about failed romance. Whatever you choose, your readers should be able to see themselves in the mirror. A good idea is trying to discuss an issue that your teenage or adult readers wouldn't normally discuss with others. For example, your superhero may begin as an immigrant who experiences all kinds of mischief when he first arrives to the U.S. Then you can describe what the superhero is doing to overcome these barriers and become a full member of the school community. Do not be afraid of making your superhero weird. The main thing for you is to make him look like your readers. You can develop an image of a bizarre superhero who finds himself in a conflict that is so familiar to the reader. 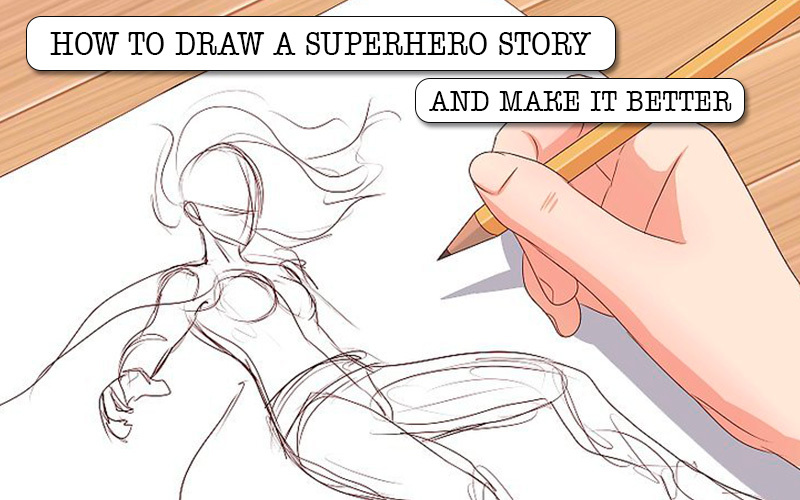 You can also create a superhero who dreams of something that is so close to your readers. Who doesn't dream of seeing all family members in good health? Use these themes to illustrate the main points of your story. Try to find a way to reach your reader's heart and stay in it forever. It is a challenge, who doubts… However, once you are there, you won't want to let it go.